Has anyone experimented with the use of a flexible heat-proof container for holding the wort between the boil and pitching? * Transfer the wort immediately after flame-out. In my thinking, the wort would only be exposed to o2 while solubility is at its lowest. At $7, it's a lot cheaper than an SS chiller for the LODO-curious. That's how I used to do this about... Hmmm 7 years ago? For various reasons it is better to pitch as soon as possible though. There are (thermobacter) that survive the boil. There could be other issues which escape me right now, but I remember Narziss and Back clearly stating that leaving the wort overnight is not so ideal. OrangeCurtain wrote: Has anyone experimented with the use of a flexible heat-proof container for holding the wort between the boil and pitching? What's your method of removing o2 from your brewing liquor? If preboil, still need a chiller. I have not yet tried LODO, but I had my eye on the sugar/bread yeast thing. That said, if the oxygen permeability of HDPE isn't an issue, it could potentially be used for preserving pre-boiled water as well. Depends on how big his HLT is, and if it is able to be carried to a large enough laundry sink. 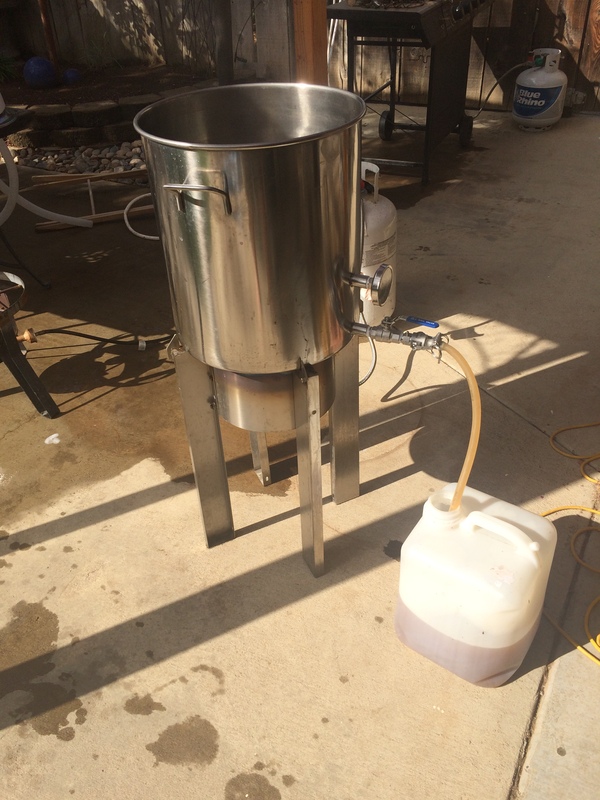 In my case, I use a 20 liter SS stock pot, with ball valve tap at bottom for feeding my underletting cooler tun. My mash in volume (as I batch sparge currently) is usually about 16-17 liters, so I pre boil, add SMB, and then carry the pot to the laundry sink which makes a water bath. Cools it to mash in temp in just a few mins.